The holidays wouldn’t be quite as fun without all the cool and tasty holiday treats!  The Vue Apartments Blog is sharing some sensational treat ideas with the residents of our apartment community. Get some ideas for your holiday party by checking out the recipes below. These sugary peanut butter pops are made to look just like jingle bells. The recipe is from Woman’s Day. Here’s everything you will need to make them: peanut butter sandwich cookies, cream cheese, white candy melts, lollipop sticks, gold and silver luster dust, clear liquor (for decorating), a paintbrush, and dark chocolate. It doesn’t get much more festive than these 3D holiday cookies that have candy inside. To make these awesome cookies, you will need sugar cookie mix, eggs, butter, flour, vanilla frosting, red and green food coloring, sprinkles, and candy (to fill the insides of the cookies with). The recipe comes from Family Fresh Meals. Make cupcakes and then decorate the tops of them so that they look like holiday ornaments that you would hang on the tree! They are also an easy treat to make for a party or your favorite neighbor. What you will need: white cake mix, half and half, butter, eggs, powdered sugar, vanilla, small gumdrops, string licorice, M&M’s, sprinkles, and any other candy to use for decorating. Find the full recipe from Land O’Lakes. This recipe comes from A Recipe for Aperture and doubles as an awesome holiday decoration. To make the chocolate trees you’ll need ice cream cones, dark chocolate, and crushed M&M’s or Smarties. For the chocolate orange cream, you will need heavy cream, milk, egg yolks, dark chocolate, grated orange zest, and caster sugar. Your guests will be impressed by both your creativity and the tastiness of this dessert. Thanks for reading our post. Have a safe and fun holiday season here in Fitchburg, WI, or wherever you are celebrating the holidays!